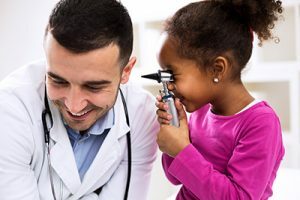 Peoples Community Health Clinic, Inc. is a nonprofit health care clinic guided by its mission statement to provide access to affordable, compassionate, high quality health care for all, while helping to improve the health of the community as a whole. Care is provided no matter what a person’s financial situation is. Both uninsured and insured patients are welcome. Starting from humble beginnings in the basement of a church in 1976, Peoples Clinic has grown into a 40,000 square foot facility in the heart of downtown Waterloo. It has been at its current location since 1999, and in 2008, Peoples Clinic Butler County (PCBC) opened as a satellite clinic in Clarksville. Both locations are recognized as Patient-Centered Medical Homes, which places focus on building better relationships between patients and their health care teams. The concept of "Community" is the heart of our organization. Peoples Clinic is owned and operated by people living in our community. This health center receives HHS funding and has Federal Public Health Service (PHS) deemed status with respect to certain health or health-related claims, including medical malpractice claims, for itself and its covered individuals. We are also supported by grant funding from the U.S. Department of Health and Human Services' Health Resources and Services Administration which makes it possible for us to offer financial assistance in the form of sliding fee discounts to low-income individuals. Thank you to the many caring individuals, organizations, and charitable foundations for their support of Peoples Clinic's mission. Thanks also goes to the staff, volunteers, and Board of Directors who are all responsible for achieving the vision of optimal health for all. Peoples Community Health Clinic, Inc. is a member of the Iowa Primary Care Association and InConcertCare, as well as an FTCA and IowaHealth+ deemed facility.